Are you an innovative startup that is operating in the industries of Smart City or IoT? 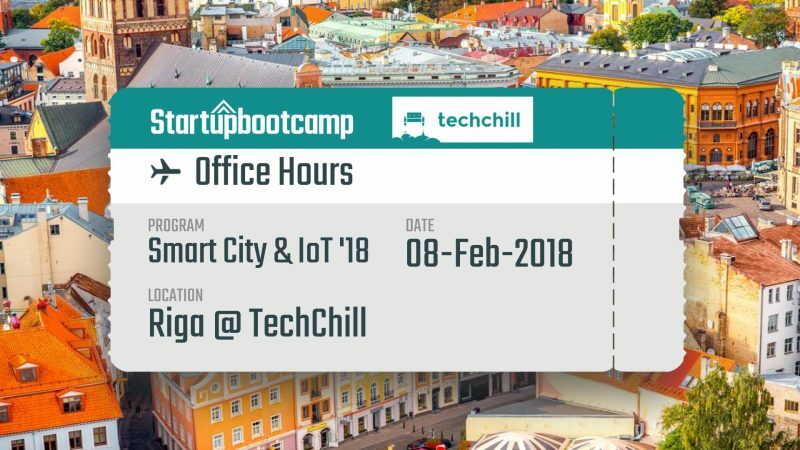 Then Startupbootcamp Smart City & IoT team would like to meet you at the TechChill event on the 8th of February. After you have submitted your application for the event, we will get back to you to arrange a time to meet at the TechChill event. Everyone interested is also invited to book the office hours via the Dealroom platform, available to all startup attendees.